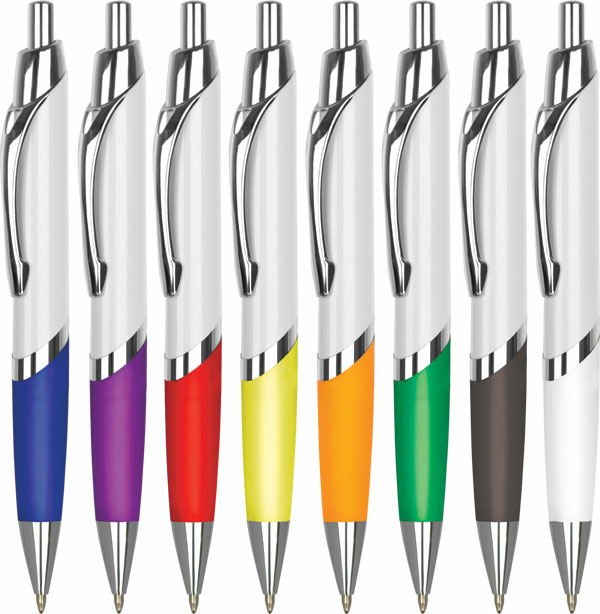 Quality push-button retractable ballpen with chrome trim and a comfortable rubber grip in a range of 8 different colours. FULL-COLOUR PRINTING is available on a 24 Hour Express Service: 1 position, max. 5000pcs.